The Biblical Scriptures must be examined without being embellished artificially with qualities one would like them to have. They must be seen objectively as they are. This implies not only a knowledge of the texts, but also of their history. The latter makes it possible to form an idea of the circumstances which brought about textual adaptations over the centuries, the slow formation of the collection that we have today, with its numerous subtractions and additions. The above makes it quite possible to believe that different versions of the same description can be found in the Old Testament, as well as contradictions, historical errors, improbabilities and incompatibilities with firmly established scientific data. They are quite natural in human works of a very great age. How could one fail to find them in the books written in the same conditions in which the Biblical text was composed? At a time when it was not yet possible to ask scientific questions, and one could only decide on improbabilities or contradictions, a man of good sense, such as Saint Augustine, considered that God could not teach man things that did not correspond to reality. He therefore put forward the principle that it was not possible for an affirmation contrary to the truth to be of divine origin, and was prepared to exclude from all the sacred texts anything that appeared to him to merit exclusion on these grounds. Later, at a time when the incompatibility of certain passages of the Bible with modern knowledge has been realized, the same attitude has not been followed. This refusal has been so insistent that a whole literature has sprung up, aimed at justifying the fact that, in the face of all opposition, texts have been retained in the Bible that have no reason to be there. The Second Vatican Council (1962-1965) has greatly reduced this uncompromising attitude by introducing reservations about the "Books of the Old Testament" which "contain material that is imperfect and obsolete". One wonders if this will remain a pious wish or if it will be followed by a change in attitude towards material which, in the Twentieth century, is no longer acceptable in the books of the Bible. In actual fact, save for any human manipulation, the latter were destined to be the "witness of true teachings coming from God". 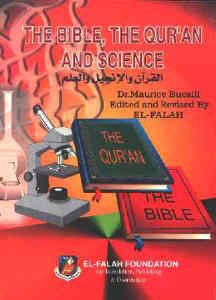 «Position Of Christian Authors With Regard To Scien..